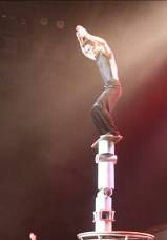 Rolla Bolla - Cirque - Skyline Talent & Events - Exclusive representation for Cirque USA. 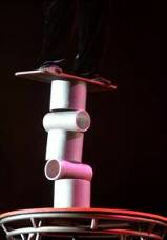 With incredible balance, our Rolla Bolla performers will have you sitting on the edge of your seats. 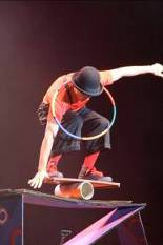 Our performers will entertain any crowd by juggling clubs and maneuvering through mini hoops, all the while balancing atop rolling cylinders that could come crashing down at any second. This act is engaging to any type of audience and will certainly have the biggest reactions.